Now, no worrying about disabling the programs in your Window’s 10 operating system. A window’s 10 Settings app can do everything with an ease by allowing you turning off the automatically running programs of your computer once you sign in. Previously in older versions the same functionality was given by the windows Task Manager which was hidden in MS Config. 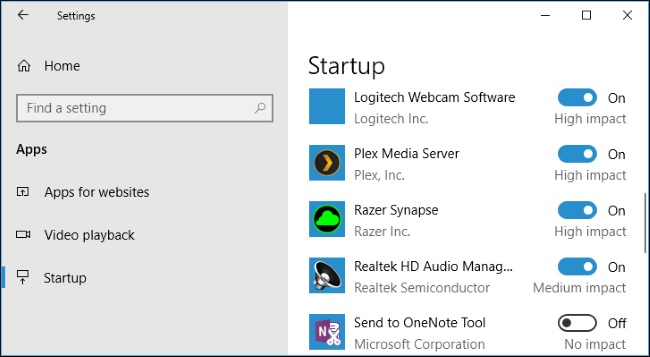 If you want to manage the startup programs, first go to Settings > Apps > and then Startup. There was an update of Windows 10’s in April 2018 and hence this feature got added to it. So if you do not find the Startup in your window’s 10 Settings app, you will have to intall the update first. Once you sign in, you will see programs configured to the startup are listed including apps starting the background tasks, programs appearing in the system tray and apps making pop up windows on your sign in. howevere, it won’t have Windows services running in the windows background. You will see very little information : name of the program, developer’s name, automatic startup enabled or not, and what“impact” its giving on the startup time. Remember, a program with“High impact” will take longer time to start and the sign in will also slow down as compared to some “Low impact” one, which is instant in starting. On the top of that window you will see “Sort By” by using this option you can sort by the “Startup impact” to glance over your window’s heaviest programs. 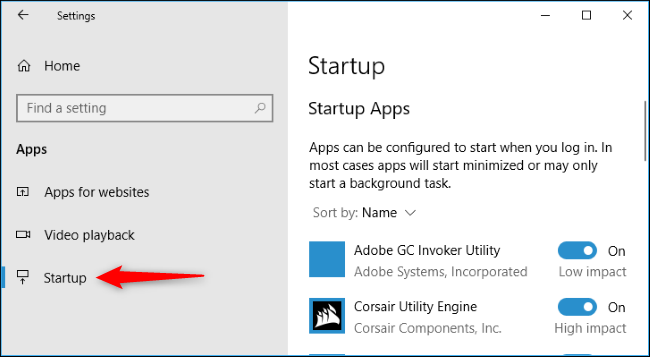 Toggle it “Off” if you want to disable a program from running at startup and to enable a program to start automatically when Windows start, flip back to “On”. Being careful while disabling startup apps is very important though.What if you disbale any startup app by mistake? It won’t run at the start up and resultantly it will fail to perform any background task normally. For example, by turning off the Dropbox startup application, you will stop if from automatically synchronising your files. on the other hand, if an update checker such as Oracle’s Java Update Scheduler is disabled it won’t check and notify about the important updates. A disabled Plex’s program wont let the Plex media server automatically run in the background failing to share the media library you have at the boot. However, if you turn-off an important program, you can anytime return to this setting and enable it with a click.